So how do you create miracles in your life? Often times when you bear witness to a miracle in someone’s life, it is usually the outcome of many small changes over a period of time. It is here and now, in the Present moment, where all of your power exist. Think about it, when you feel fear about anything, are you not thinking about what may happen in the future? There is a great saying, “Yesterday is history, tomorrow, a mystery, while the gift you seek lies in the, here and now, present moment.” It is in this present moment where you have the ability to choose your next thought by using the most powerful gift of your IMAGINATION. So if your mind always scans for the feelings, which are based on your past beliefs that you hold to be true about a subject, then the key to change your life lies in your ability to “feel the feelings of the wish fulfilled” as Neville Goddard states in his many books. For instance, let’s say you are looking to change jobs to something that would feel more meaningful thus creating a happy workplace. The key is to IMAGINE what your ideal job would be in detail and MOST IMPORTANTLY, how would it feel if you were already in possession of such a job. In other words, it is more important to FEEL the feeling associated with your change and by doing so you will set into motion the circumstances, people, places, and events to bring this into your reality. What’s amazing is that when you tune into these feelings and keep them foremost in your mind, when an opportunity comes along that supports your next move, you will take action on it with a great feeling of peace. You will instinctively know it’s the right thing to do. It will feel natural and effortless. Your most powerful tool to change your life is the last 20 minutes of your day before you drift off to sleep. In this state, between consciousness and sleep, you mind opens to accept things as true much like when you were 2 years old again. Your mind’s natural filters and gatekeepers are turned down leaving you open to suggestion. Therapist using hypnosis try to affect behavior patterns by inducing this state by various means. That’s why it’s imperative that you don’t watch the news or read the paper before going to bed. If you do, your mind will fill with the gloominess of the world and this gloominess will become YOUR world. 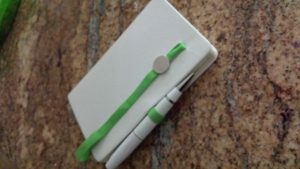 A great technique to effectively use this 20 minutes before sleep is to create a Gratitude Journal. A great habit my wife and I have is to keep a notebook next to the bed. Just before going to sleep, we write down 10 great things that happened to us during the day. These don’t have to be incredible things by any means. They could be as small as, “I am so grateful for my hot bath this morning.” Continue until you have written down 9 of your 10 greatful things. Now add the very thing you want in your world as a grateful number 10 item. 10. “I am so grateful for …..! As you go off to slumberland, imagine the FEELING of your ideal life, job, partner, or whatever circumstance that you want to create in your world. Feel this feeling as though it were ALREADY happening in your life. Do this every night and in time, you will be amazed at the changes beginning to take shape in your life. We love to go back and read journals that we have created years before and see the changes that have actually occurred in our lives. The amazing thing is that most of our dreams seem to come about in ways we didn’t even imagine. Let go of the “how”! A word of advice, don’t freak out if you initially experience odd or weird dreams. Your ego will very likely step in to try and extinguish all of this nonsense. Why? It will be losing control and it has a goal to bring you back to what’s comfortable even if that comfort feeling includes some pain. In fact, you’ll often come up with many reasons not to do your journaling. “I’m really tired tonight.” “I just can’t think of anything right now.” “It’s late already.” Your ego is, after all, only trying to protect you. Our minds are wired to LOOK for possible danger to try and keep us safe. It can only do this by going into your past and digging something up and/or creating a picture of your future self if you continue to follow this path. To be in control of your thoughts, you must be in the Present! Being Grateful keeps you in the Present. Lets have some fun! There is great power and healing in sharing. Please feel free to comment things that you are grateful for and you would put in your Gratitude Journal! I look forward to your thoughts and comments.